I took this photo, I think in 2004, maybe October. I was with good friends who were living in Geneva, Switzerland at the time. We were driving across the Alps down into Italy to visit the lake district and then Florence. It was my first trip to Italy. The drive was amazing. 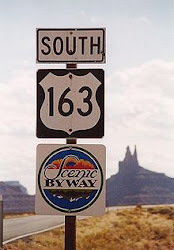 This remains one of my favorite captured scenes on my scenic byway.